A smartphone app developed by researchers at the University of Washington acts as an alarm system that can detect when someone overdoses. Tech companies are developing apps to combat overdoses. Can they work? As the opioid crisis rages on in Canada and the U.S., tech developers and researchers are joining the fight to stem overdose deaths. But while advocates say anything that can bring down the death toll is welcomed — particularly in B.C., where an average of four people die per day due to a fatal illicit drug overdose — questions remain about the accessibility and practicality of tech solutions. One of the innovations being proposed currently is a smartphone app developed by researchers at the University of Washington called "Second Chance." 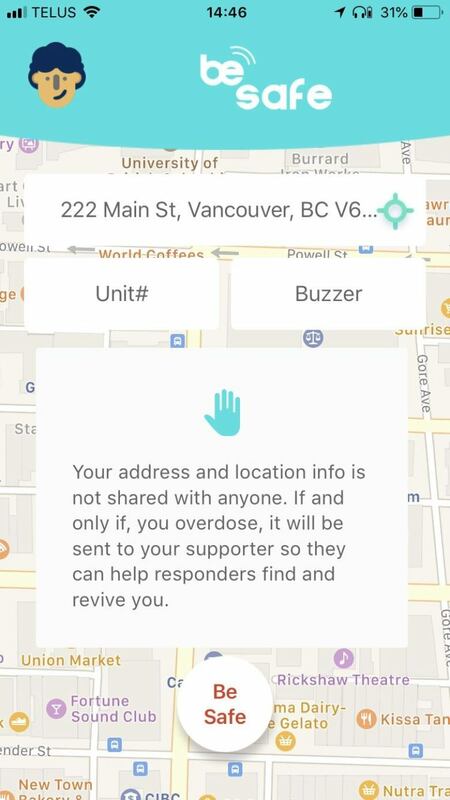 The team, which has tested part of the app's function at the supervised injection site Insite in Vancouver, and published its findings this month in Science Translational Medicine, says the app acts as an alarm system that can detect when someone overdoses. "So the key thing here is to connect people who are overdosing to this life-saving intervention, and that's what we aim to provide with this app," said lead author Rajalakshmi Nandakumar, a doctoral student in the Allen School of Computer Science and Engineering at the University of Washington. "The app basically monitors their breathing when they ... engage in high-risk behavior. And when they're about to overdose, it automatically connects them to either a pre-set emergency number or sometimes [it's] escalated to emergency services." Nandakumar says the app detects a person's breathing pattern by converting a phone's microphone and speaker into a sonar device. If the user's breathing slows, or even stops in the case of an overdose, it will alert the pre-set emergency contact about the user's location so they can administer naloxone and reverse the overdose. Brave, a co-op based in Vancouver's Downtown Eastside, is also exploring several options, including wearable technology and an app. The app provides remote supervision so that someone using drugs alone can be monitored in real time. If the user stops responding, the app reveals the user's location, so emergency responders can come help. But as well-intentioned as the technology is, even developers themselves acknowledge there are limitations. Nandakumar says she understands that not everyone owns a smartphone. And Brave CEO Gordon Casey says his products will probably only get buy-in if they're low-cost or even free. "And that for us would be like a much further, down-the-line next step for the wearable technology," he said. "If we could make one that works, then would it be possible to make one that's super, super cheap, and that you can hand it out along with clean needles and that sort of thing?" Sarah Blyth, who founded the Overdose Prevention Society in the Downtown Eastside, believes that when it comes to saving lives, nothing will beat a safe drug supply or having someone immediately on hand to administer naloxone. But she says all solutions to the opioid crisis are worth exploring. "The best thing to do is be at an overdose prevention site, or with a friend," she said. "Never use alone. Always use a little bit first. And these technologies are good for those who will not do any of these other things because people are still dying. And so we need all kinds of different responses for different people."